SALIN de BIOSEL. New beauty rules. We at SALIN de BIOSEL are the expression of a union between natural resources and advanced technology, between ancient botanical recipes and research. On one hand, nature, whose active principles, essential for skincare, marry with fragrant notes, colours, aromas, harmony and unique multi-sensory effects. On the other, science, with its rationality and an approach that is all about effectiveness. The extraordinary result of this philosophy is an innovative line of cosmetics for the face and body. Thanks to a fusion of the Oriental energetic pharmacopeia and the most modern Western phytotherapy, these true concentrates of vitality protect the cutaneous ecosystem, effectively nourish the skin’s beauty and promote harmony of the spirit, redefining the rules of beauty. Cossetting and immediate results with long-lasting effects. This is the transformation of vital nutritional resources extracted from the depths of the earth into active energy essential for the growth and beauty of plants. This extraordinary ability of the plant world is the Fundamental Key applied to the SALIN de BIOSEL cosmetics production concept. This Fundamental Key belongs to one of Nature’s Ancestral processes and opens the doors to nourishment and energy. By combining the “bio” vitality of different roots, bark, leaves and flowers in a precise “sequence” and in precise quantities, the exclusive Bioséquentielle Formula is obtained. 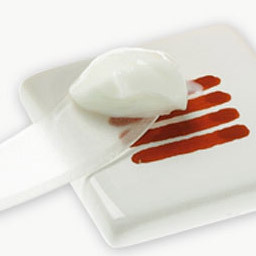 This is the transfer of nutritive, vitalizing resources to each of the skin’s cells to dynamize all its vital functions. 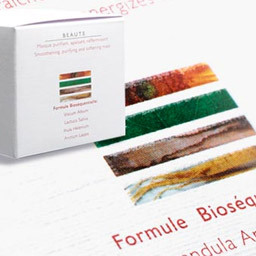 Each SALIN de BIOSEL product contains a specific Bioséquentielle Formula indicated on the package. As well as the recognized therapeutic properties of modern phytotherapy, each active principle is chosen for its energectic characterstics. Our skin lives thanks to the energy that traverses it. 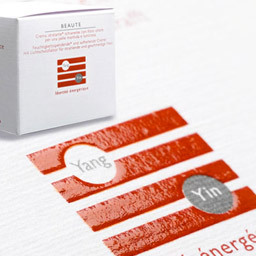 The Bioséquentielle formula uses the Yin and Yang polarity of plants to calm or dynamize the energy of our skin’s cells, and rebalance the excesses. A plant that lives in a shaded, cool, damp north-facing place is Yin by nature, as are the roots, in the cold, dark density of the underground, and bark, their extension. A south-facing plant constantly exposed to light and the warmth of the sun is Yang by nature, as are its leaves and flowers, warmed by this energy. Variety, origin and concentration of active principles derived from roots, bark (Yin identity), leaves, flowers (Yang identity) determine the product’s energetic personality (Yin, Yang or neutral). The different identities of the products bring about a true deep and integral re-education of the skin’s tissue. Energy becomes the substance of beauty. Geographical: climate and temperature influence the quality of plants (the mild, dry air of Provence makes for the best Lavender). Geological: the soil structure gives the plant its healing powers (olive trees on Tuscan hillsides produce the most powerful anti-oxidant substances). Ecological: land far from sources of pollution, that does not use chemical fertilizers or GMOs safeguards the therapeutic properties of plants. Many cosmetis contain chemical ingredients that cause concern to many consumers and are sometimes even accused of being cancerogenous. 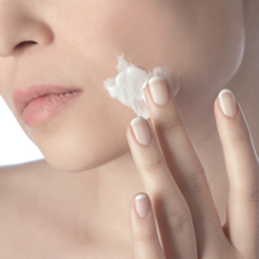 According to a survey by the TNS-Sofres agency, 43% of women tend to choose a cosmetic with a “clean” formula. This why since 1999 SALIN de BIOSEL has eliminated Parabens, Propylene Glycol-based solvents, chemical soaps, petroleum-derivative oils, colourants, GMOs and more than 100 other suspect ingredients. 3 application concepts to meet all the professional requirements of the most exclusive spas. BEAUTE: Soins for beauty of the face and body. SPA PERFORMANCE: Cure for enhanced physical performance. BIEN ETRE: Rituels for the wellbeing of the spirit. The talent for personalization and boundless creativity of BIOSEL’s technical staff are essential qualities for the creation of further made to measure SPA CONCEPTS.